Have you ever wondered how storytelling surfaces? I have – countless times. 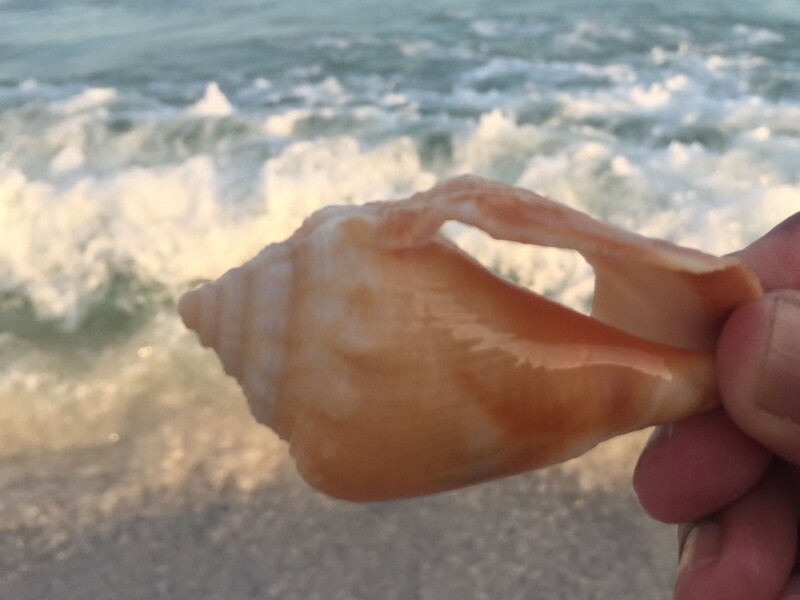 And on my recent vacay to Pensacola Beach, Santa Rosa Island, Florida, I thought long and hard about the stories I write, the stories I read, written by authors of various genres, and wondered how exactly do stories come into play? What drives them? What molds them into shape and what gives them form? 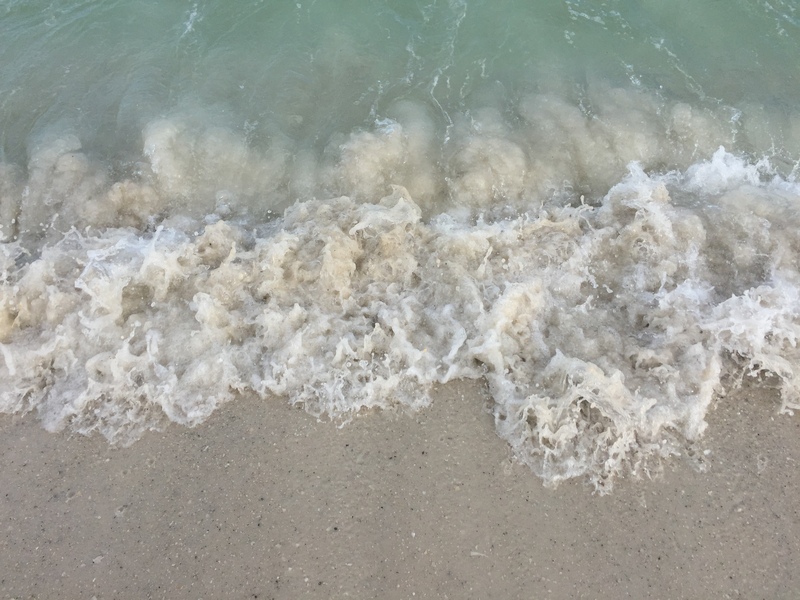 As I went sea-shell picking along the beach, waves with foam crusted tongues hiding the seabed beneath, lapped at my feet. When the waves receded, they left broken chunks of sand dollars, chipped shells, seaweed, gravel, stones and combed the coastline clean. I bent to grab a shell that rolled on the surface, but a wave snatched it. I reached for another, but that was taken too. 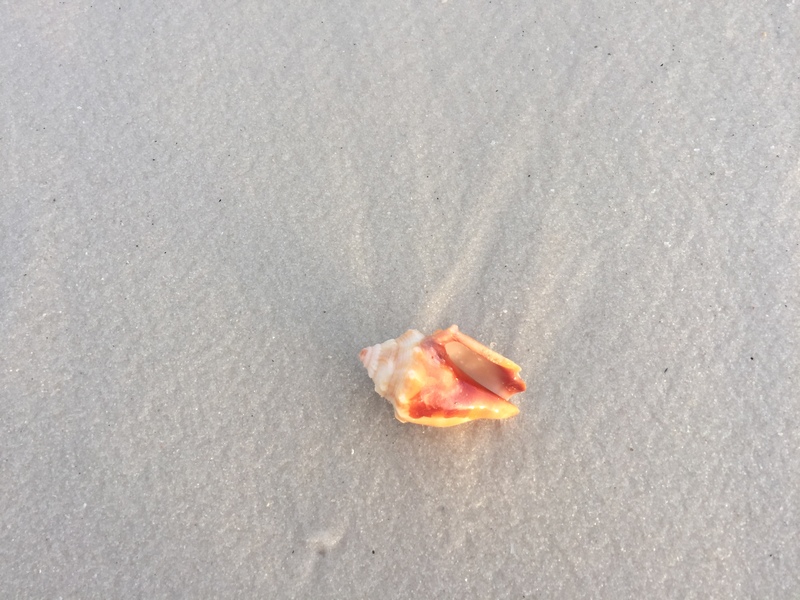 After several attempts, I realized I had to pounce on a shell the moment I saw it and fish it out of the ocean bed – a sort of tug-of-war with the waters – to win. It was all about timing. And that’s precisely what I did. 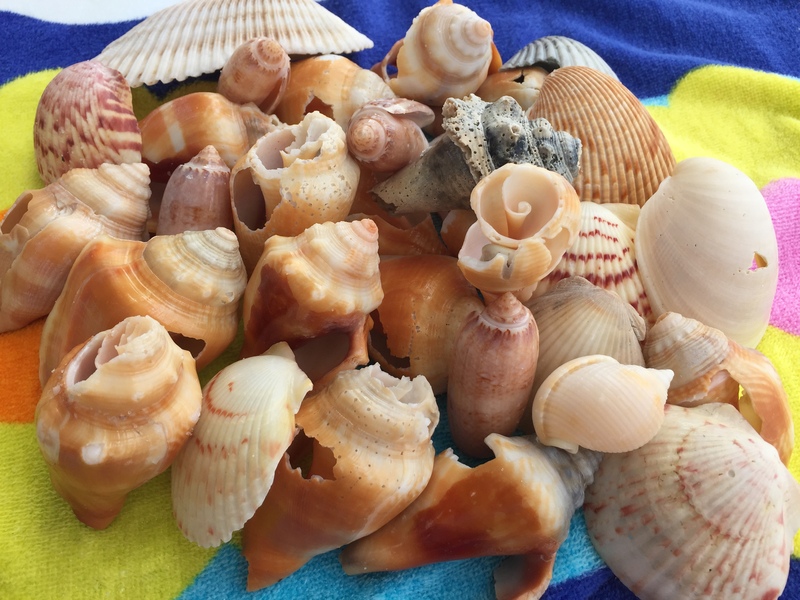 Initially I grabbed fragments and broken chips of shells, and I was disappointed. 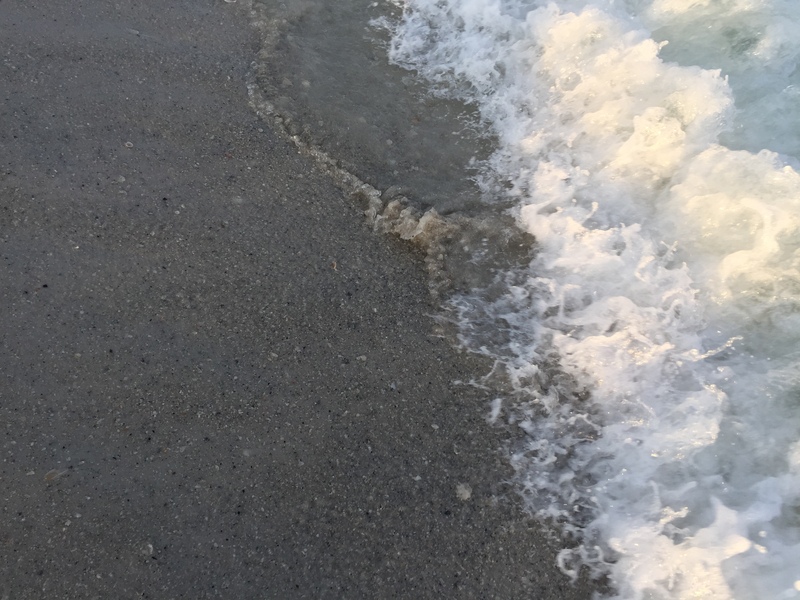 But the more I watched the waves and clocked the rhythm, the better I got in discerning the pattern of the waves, which shells to go for and which to let go… sort of like training the eye. And it hit me – that’s what writers deal with every day! You might get a clam, a dead fish, a chunk of seaweed, a broken shell, a baby shark (yes, a baby shark! )… you get the idea, and you hold on to what you get. Life can throw new experiences, challenges, ideals and problems at any moment, and there is no way to gauge what will happen next? You take what you get at the time you are given and make the best of it. You can tack on another idea, wait for more to get washed up on the shore or pat the one concept you have into shape. Build on what life has to offer because no two people (not even twins) share the same experiences in life and look through the prism of life in the same way. 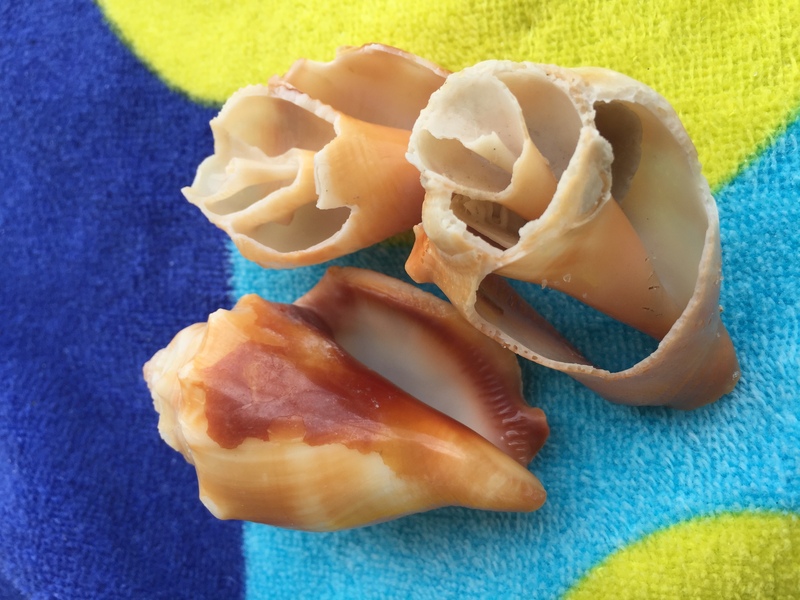 One shell was chipped at the cone-end, another was sliced in half, a third had a hole in the fabric of the outer surface and a fourth was a darker shade of brown. Within the same species no two matched. The same goes for storytelling. Two writers may have the same idea, but the seed of the concept, the coating, surface, texture, color and hue will differ in some way. The storyteller spins, molds and pats the idea into shape based on his/her life experiences and perspective, and what you have are two very different stories. The result? A unique story that has its own rhythm. But look below the surface of any story, and you’ll see there’s a whole other layer to storytelling and emotional experience that gives each book its own heartbeat. Books by New York Times Bestselling Authors, like ‘Leaving Time’ by Jodi Picoult, ‘The Silent Wife’ by A.S.A Harrison, and ‘The Namesake’ by Pulitzer Prize winning author, Jhumpa Lahiri, have moved me. Stories like ‘The Time Traveller’s Wife’ by Audrey Niffenegger, ‘Girl In Translation’ by Jean Kwok, ‘My Sister’s Keeper’ by Jodi Picoult and the ‘Taj series’ by Indu Sundaresan have woken me up. Then there are profound stories like ‘Still Alice‘ by Lisa Genova, ‘The Kite Runner’ ‘A Thousand Splendid Suns’ by International Runaway Bestselling Afghan author, Khaled Hosseini that have shaken my ground, resonated with me to the depth of my core and turned my perspective on the prism of life upside down. What story has taken you to another world, another rhythm and way of life and made you question the one you live in? Thanks for stopping by. I know how you feel… I felt the same magic when I read Charlie & The Chocolate Factory by Roald Dahl and Beverly Cleary’s books. I didn’t want to return the book to the library because I had connected with that copy, that version of the story in a deep way. You might still find a version close to what you read at the time… and find solace in the fact that you’ve found the closest version of the book. And that chapter of your life, I hope, will return!!! When I was 6, I checked a book out of the library–a “biography” of Johnny Appleseed. I read it the same afternoon. I then shoved it under my pillow, because I didn’t want to return it. Eventually, I did, of course. I wish I could find that book today, read it as an old man, and perhaps glean what about it touched me as a child. Sign up for Anju’s Newsletter! Subscribe to our newsletter! Would be great to know which part of the world you're visiting from. Welcome Aboard & Happy Reading!! Remember to sign up for Anju’s Newsletter!